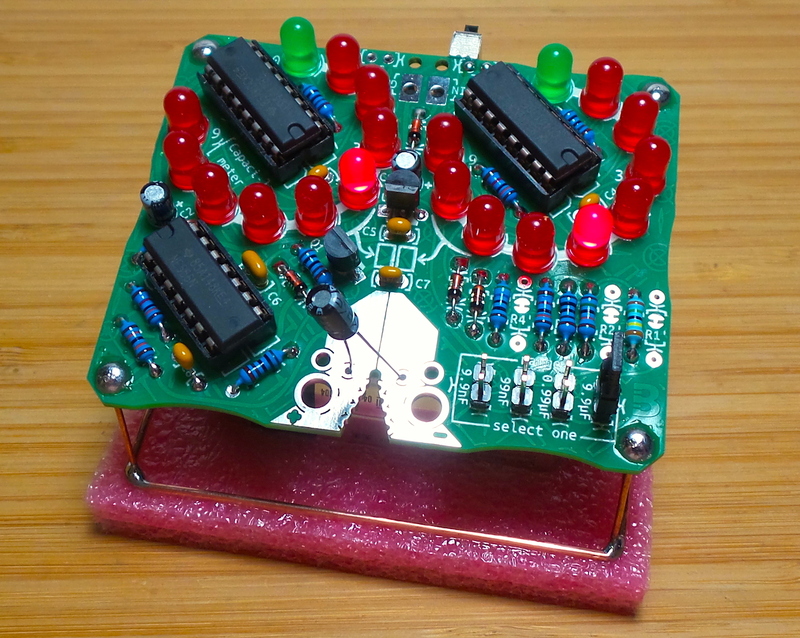 Capaci-meter is a Boldport remix of a classic capacitance measurement circuit designed in high school by Jez Siddons of Peak Electronic Design. The device takes a very interesting approach - rather than trying to measure the actual capacitance or charge time, it uses a derivitive function (the capacitor’s effect on the frequency of a 555 timer) to infer capacitance. I recently got hold of some 5mm RGB Flashing LEDs from a seller on aliexpress - some slow and fast flashing varieties just out of curiosity. 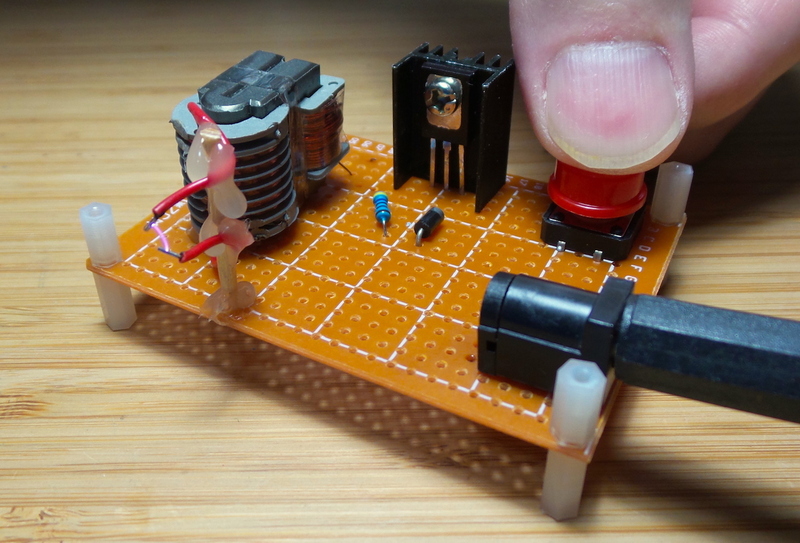 Here I’ve put one the slow-flash kind in a “night light” circuit. I decided to power from a little 1.5V CR1216 coin cell. 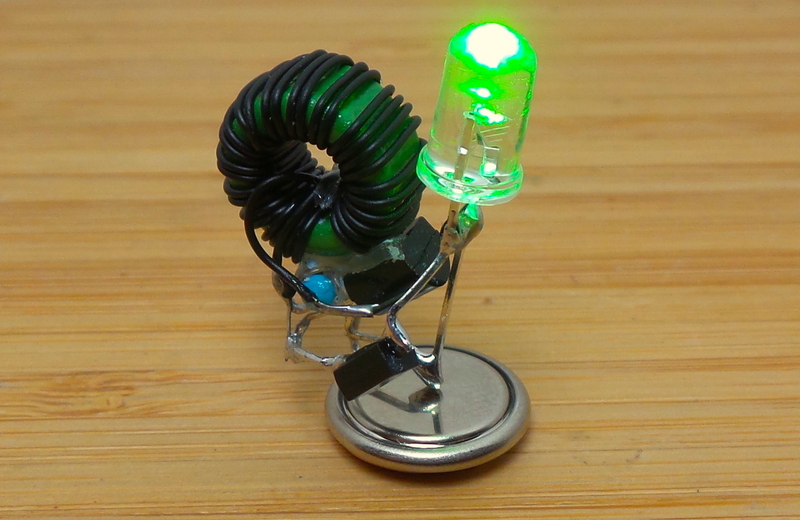 To boost the voltage sufficient to power the LED, I’ve attached a toroidal joule thief circuit. The oscillating voltage produced by the joule thief is not suitable for the flashing LED as it is liable to get stuck on a single colour, so I’ve added a diode/capacitor charge pump to provide a more stable power source for the LED.